Mark Levin – is a lawyer, author, and the host of American syndicated radio show The Mark Levin Show heard weeknights from 6 to 9pm on KZIM KSIM. Levin worked in the administration of President Ronald Reagan and was a chief of staff for Attorney General Edwin Meese. He is president of the Landmark Legal Foundation, has authored five books, and contributes commentary to various media outlets such as National Review Online. On September 1, 2015, Levin was named Editor-in-Chief of Conservative Review. 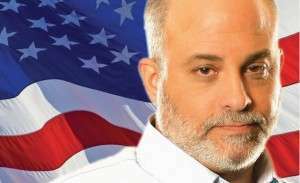 Levin began his broadcasting career as a guest on conservative talk radio programs. He was also a contributor to The Sean Hannity Show and eventually got a radio slot of his own. He is a leading conservative commentator, ranked 4–6 position nationally among talk radio programs, with a minimum of 7.75 million total weekly listenership according to Talkers Magazine.